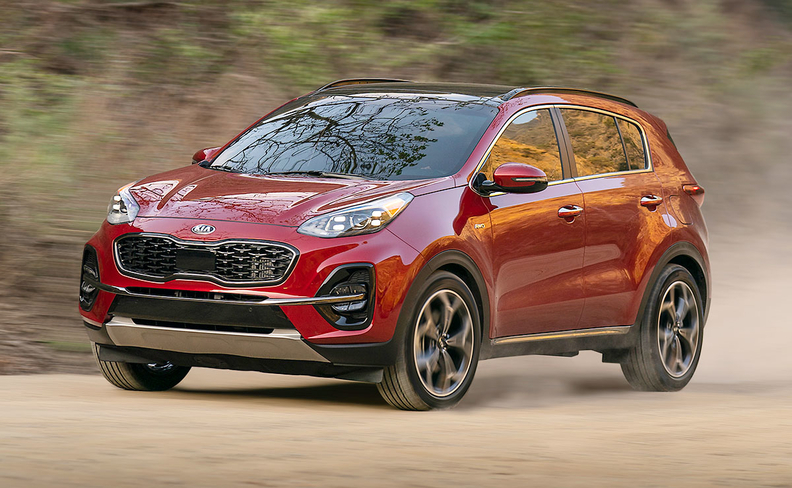 CHICAGO — The Kia Sportage is freshened for 2020 in an effort to meld ruggedness with convenience. Introduced last week at the Chicago Auto Show, the Sportage receives a new S trim for the coming model year, more driver-assist features and a standard 8-inch touch screen for LX, S and EX variants. The five-seater is targeted at consumers who don't need the volume of a larger vehicle but want the functionality and creature comforts of more upscale vehicles, according to Kia. The freshened version is expected to go on sale in the first half of the year, with pricing announced closer to the on-sale date. Exterior design changes include new headlights with optional LED turn indicators, redesigned taillight trim, new front and rear fascias and a new metallic Steel Grey exterior color. The 2020 model also offers a suite of driver-assist features, including lane-keeping assistance, smart cruise control and forward-collision assist with pedestrian detection. Along with the new S sporty exterior trim, the Sportage is offered in LX, EX and SX variants with front- or all-wheel drive. The vehicle is available with a 2.4-liter gasoline direct injection engine that produces 181 hp and 175 pound-feet of torque or a 2.0-liter turbo GDI that delivers up to 240 hp and 260 pound-feet of torque. Both engines are combined with a six-speed automatic transmission. Kia sold 82,823 units of the compact crossover in the U.S. last year, up 14 percent from 2017. The Sportage was redesigned for the 2017 model year. The next generation, due for the 2022 model year, could include a hybrid version.